I can support you on a soulful journey through loss, change, illness, stress, relationship difficulties, and other challenges which prevent you from living fully. Through using positive psychology tools, forgiveness practices, and other spiritual practices, I can help you reframe, change, and love your own personal story so you can live with more peace, purpose, passion, and joy. Using the law of attraction, I can guide you in manifesting and living your dreams. Through energy work and acupressure, I can help you forgive yourself and others, and let go of old beliefs and stories that no longer serve you. You can learn to live with more empowering, positive beliefs and have more loving relationships. I can also help you release grief to make more room in your heart for more joy. I combine a hands-on energy healing and acupressure approach to the body, with psychological processing of the psyche, and a transpersonal psychology focus on the soul or higher self. This combination empowers the person and emphasizes the soul wisdom within each person that leads to personal growth and transformation. As a Shamanic minister and an Interfaith minister, I believe that we all have an inner healer, an inner shaman, connected to a higher consciousness of love and wisdom- however we choose to call that – Spirit, Higher Power, Universe, God, or Goddess. 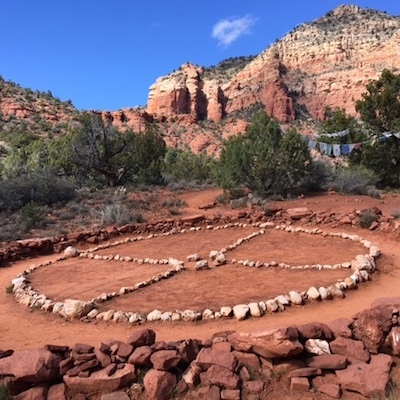 I can help you connect with your inner healer through spiritual practices such as mindfulness meditation, shamanic journeying, positive psychology practices, and guided imagery to help you slow down for your own soul care. I can help you navigate through the cycles of change, death, and rebirth. Some of us, especially LGBTQ folks have received religious and spiritual wounding. I can help you release these false, negative beliefs, develop you own authentic spiritual path, and remember who you are at a soul level. I am a certified wedding celebrant in Washington, DC through the Unitarian Universalist Society. I can tailor a wedding ceremony designed to your own preferences and beliefs- spiritual/not religious, religious, or secular. My own spiritual path is an eclectic one influenced by Unitarian Universalists’ values, shamanic consciousness, mindfulness meditation, feminist Jungian psychology, metaphysical beliefs, and the Divine Feminine. I am comfortable working with people from various spiritual and religious paths, as well as with atheists, and those not connected to any particular spiritual tradition.